Pull more value out of your existing Salesforce products. How do you pull more ROI out of your existing Salesforce products? With Community Cloud, the world’s #1 community platform. Community Cloud provides businesses with a platform to build beautiful, branded experiences for their customers, partners, and employees. Meet the Trailblazers who are finding new ways to engage customers, empower partners, and inspire employees. 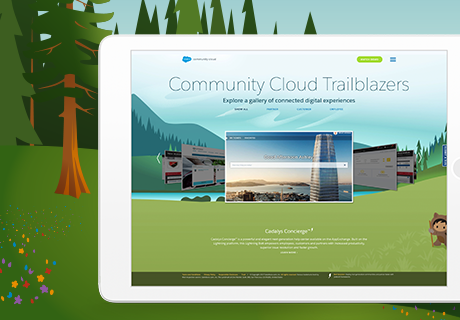 Fill out the form to the right to find out how Community Cloud lets you transform the way you do business and blaze new trails to unique user experiences.